1) I’m a horrible liar. Please don’t ask me to try. I will fail. 2) I believe lying is not the best moral choice when you’re committed to a job where trust in a pillar 3) I’ve been told that I don’t look like the type that would be sarcastic. I was raised in a sarcastic family and married into an even more sarcastic one. But when I try to use sarcasm–people tend to stare at me blankly wondering if my wit and tone were accidental or on purpose? There are other reasons but these are enough. I can’t lie. Now that you know this. I’m going to give you my honest opinion about something we need. The world needs MORE youth ministry podcasts. The reason I know this is because I have listened to ALL OF THEM. And, if there were enough in the world, then that statement would be an impossible statement. Also, if there were more youth ministry podcasts out there then I wouldn’t have time to spend an hour of my life learning the culinary history of spam (the meat). Which, by the way, was probably one of the most interesting podcasts I have ever listened to. It totally debunked my ideas about the grossness of it and solved the mystery about that gelatinous layer on top that is not longer there–so you totally don’t have to be afraid of it anymore. Spam pretty much saved thousands of lives during WWII and that’s something I didn’t know. Spam saves lives. But, I am a youth pastor. And while spam is useful to us probably more often than we’d like to admit, there are other more useful things that we could really benefit from talking about. 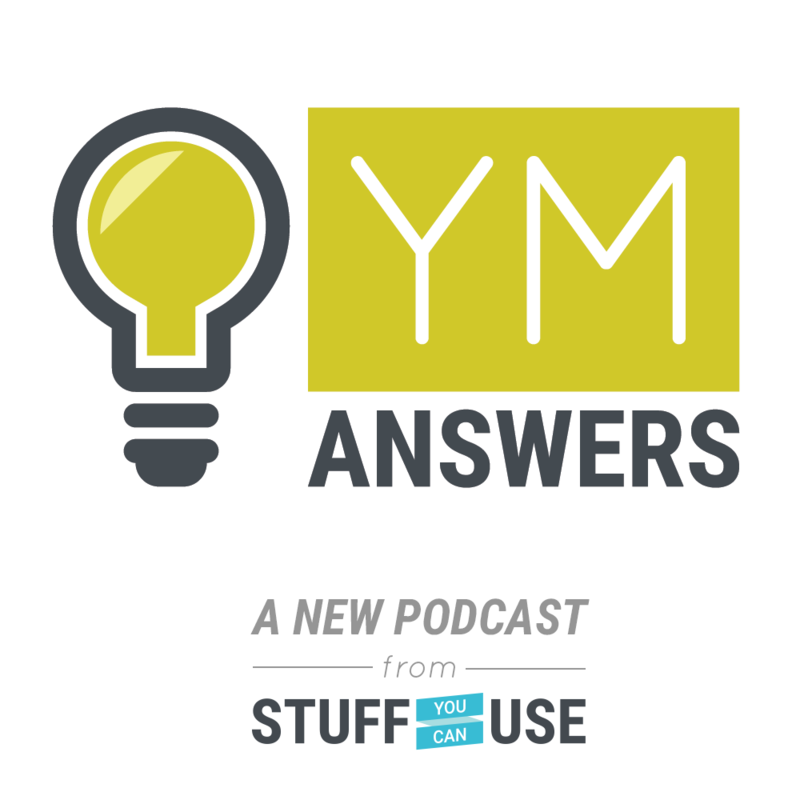 That’s why I was so excited to hear that my friends at Stuff You Can Use have decided to start a youth ministry podcast!!! It’s a fantastic idea where listeners can post voicemail questions and Stuff You Can Use will find the answers and share them weekly. Hello. And thank you Kenny and Elle! They’re doing this because there aren’t very many youth ministry podcasts in the world and they want to help fix that. I am so glad. Thank you friends for being helpful like that. The premise is simple: we (youth workers) ask questions. They help us find the answers (with the help of some special guests). Genius. Collaboration is my favorite. 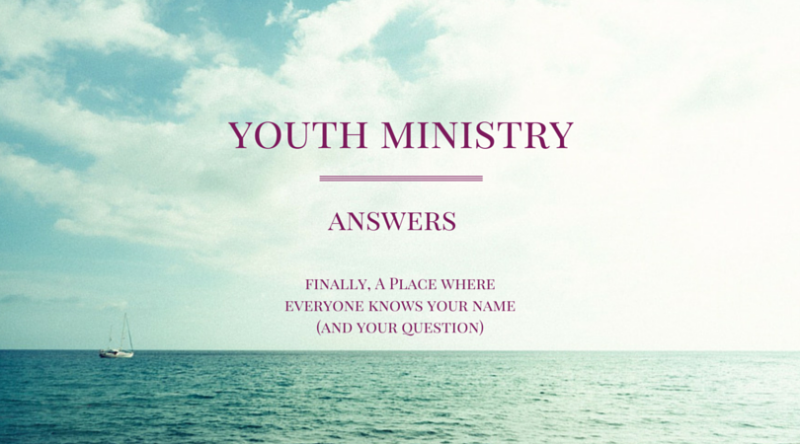 Anyone can leave a voicemail at YouthMinistryAnswers.com with their question about youth ministry. They’ll feature one question per episode. The lovely news is that it launches TODAY Monday, December 1. They’re going to publish 2 episodes every week. WHERE? Here’s the link! But you if want instructions and details for the GIVEAWAY they’re doing this week then try this link too! AND, here’s an awesome bonus for you: I’m sharing the videos of the most horrible youth ministry podcast (video blog) attempts in the history of the world. A.K.A. That one time when I thought I had a lot of answers but really I just had a lot of questions. #StruggleBus of 2011. You’re welcome. So, here are the bonus goods, as promised. 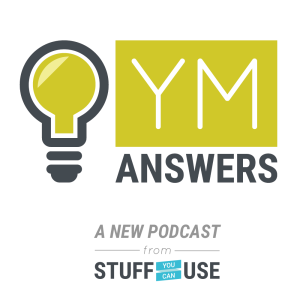 A few of the finest / most horrible videos in world history to get you excited about the launch of YM Answers today.This new podcast is going to be WORTH YOUR TIME! I am a podcast junkie myself. I don’t know what is out their for youth ministry but I have 2 thoughts on it. #1 how many youth actually listen to podcasts? They are usually all about music and trendy stuff. #2 Christian youth need to have a foundation of the bible because without a foundation of what sin is and who God is they will end up learning humanism along with a banner of God overhead to Christianese it. It then becomes unbiblical to the highest degree with the name of God over it. This is a major trend in churches these days and then adding in the term ‘leaders’ can add to the title of humanism with the banner of God overhead when God has no real place. It is happening across this land and it is tragic! Thanks for your questions. I believe YM Answers is going to be produced for youth leaders who are serving teenagers. But it wouldn’t hurt to ask the podcast question. I’m sure Kenny and Elle could come up with some stats for you. And we would all agree that discipleship rooted in Christ is super important. Thanks for reading and for getting involved. You should leave a voicemail at YM Answers with your questions! You. Are. The. Best. Thanks so much for the support, I really appreciate it. And thanks for all you do for the youth ministry community!